Rimini: the thousand facets of the city! 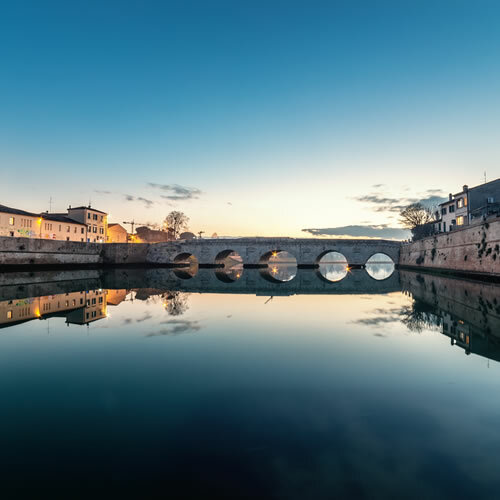 Rimini gathers outstanding natural beauties, precious historical finds, genuine craft and food and wine traditions, compelling sea and beaches and the lively night life of the city centre and the sea front. Its 15-kilometre-long beach gathers excellent services, well-equipped sports facilities and amazing fun opportunities. Choose the hotel which suits your requirements the most and spend your holidays in Rimini. Rimini boasts a remarkably wide array of accommodation options ranging from family-run 1-star guesthouses to luxury 5-star hotels, such as the famous Grand Hotel. Hotels for young people, families with children, those looking for utmost wellbeing, sport lovers and many more. Most hotels offer all-inclusive packages featuring free admission to the most famous funfairs of the surrounding area: Mirabilandia, Aquafan , Oltremare, Italia in Miniatura, Fiabilandia and Cattolica's Aquarium. Hotels in Rimini give tourists the possibility to spend relaxing holidays here while admiring the sea, going for pleasant walks along the beach and enjoying hydromassage and beauty treatments. Those looking for active holidays will have the opportunity to take advantage of open-air gyms and entertainment activities for both children and adults, take part in charming excursions across the hinterland and run wild at night in the most popular pubs and clubs of the Riviera! Rimini is also the venue for plenty of interesting initiatives, trade fairs, cultural activities and sporting events. Among the most famous ones, not to be missed is the popular Pink Night. On the occasion of the Pink Night, the whole Riviera turns pink and arranges plenty of open-air shows and beach parties. At midnight, clusters of fireworks light the whole coast from Cattolica up to the Lidos of Ferrara. 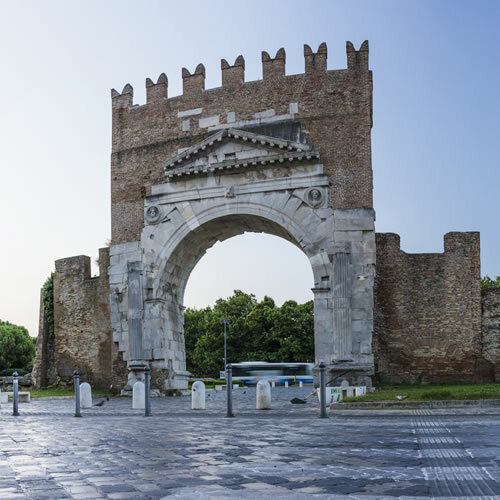 Hotels in Rimini welcome those flocking to the Pink Night and further tourists offering them special promotions, all-inclusive packages, family plans and both weekly and daily offers. Hotels are provided with every comfort: swimming pool, gym, air conditioning, car park, children's playground and entertainment. On December 7, 2007, the famous Domus del Chirurgo (Domus of the Surgeon) was opened to the general public. 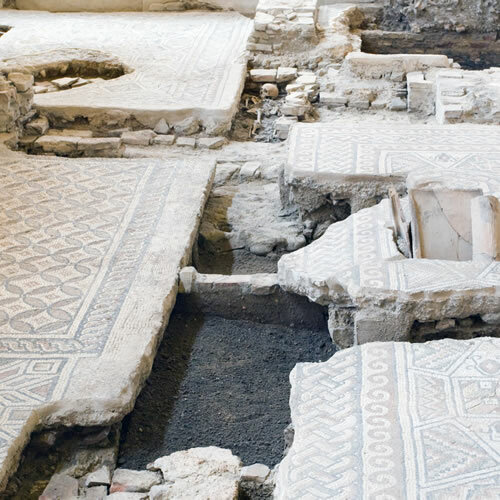 Like Pompei, it was unearthed during extensive excavation works which were carried out just in the heart of Rimini's old town. The Tiberius Bridge was designed by the ancient Romans. Built 2000 years ago, it marks the beginning of Via Aemilia. The Arch of Augustus is the oldest Roman arch in the city: it was built in 27 BC as the triumphal arch of the city.